FHFA provides public information and access to resources for those creating and enforcing policies, regulations and rules, to help Americans make better housing finance decisions and strengthen the U.S. housing market. Welcome to the Government page of FHFA’s website. This page provides consolidated resources for federal, state and local government personnel who are interested in the nation’s housing finance system. 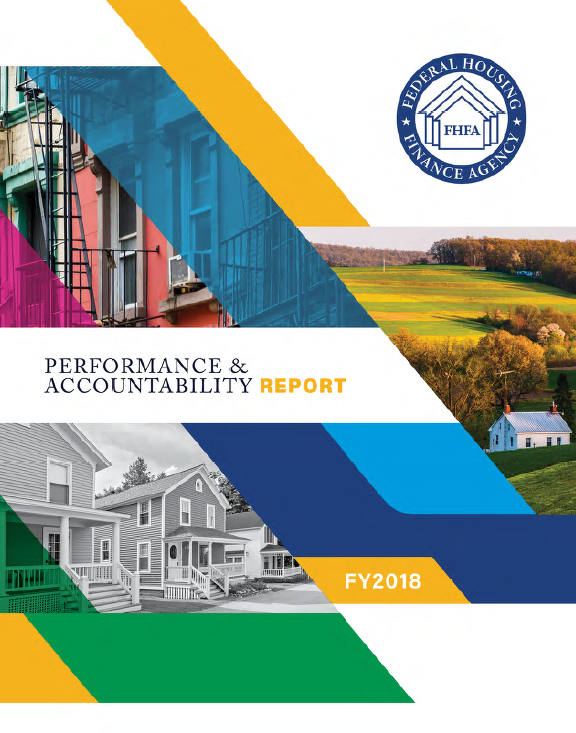 Read FHFA's latest Annual Report to Congress. Read the latest Strategic Plan for Conservatorships or the latest Scorecard. Read recent Speeches or Testimony. 12 U.S.C. 1421 et seq. Established the Federal Home Loan Bank System. 12 U.S.C. 4501 et seq. Primary statutory authorization for FHFA’s regulation of Fannie Mae, Freddie Mac and the Federal Home Loan Bank System, including supervision of housing mission and goals and actions as conservator or receiver for Fannie Mae, Freddie Mac or any Federal Home Loan Bank. Amended the Safety and Soundness Act to create FHFA, place regulation of Fannie Mae, Freddie Mac and the Bank System under one regulator, enhance supervision of these regulated entities, and enhance FHFA's authorities as conservator or receiver. 12 U.S.C. 1451 et seq. Created Freddie Mac and provided authority for Freddie Mac’s activities. 12 U.S.C. 1716 et seq. Created Fannie Mae and provided authority for Fannie Mae’s activities. Amendment in 1968 created the Government National Mortgage Association (Ginnie Mae), supervised by the Department of Housing and Urban Development. Find regulations pertaining to FHFA supervision at eCFR.